Treat your group to a trip driven by a professional & uniformed driver. 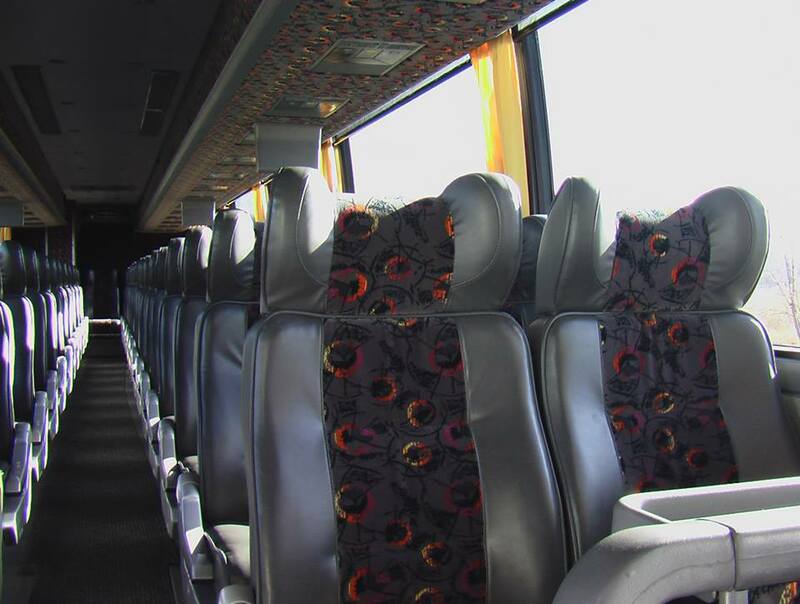 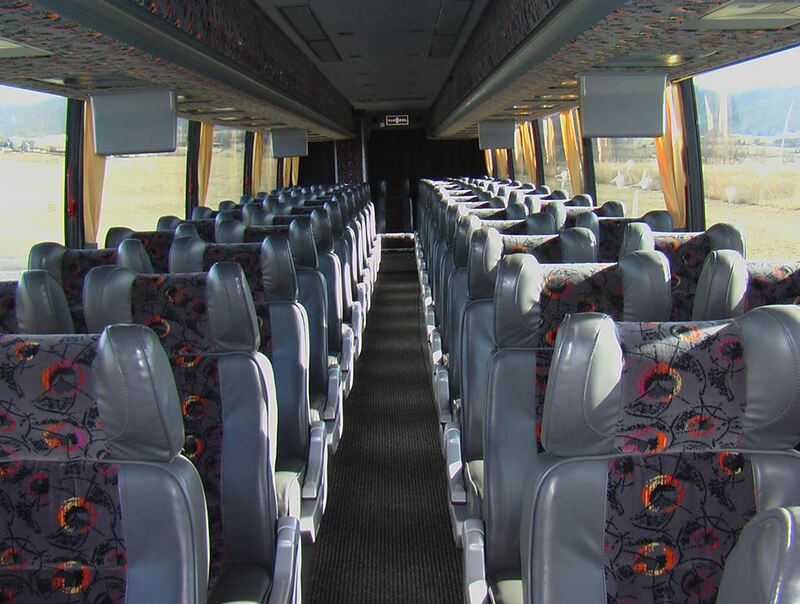 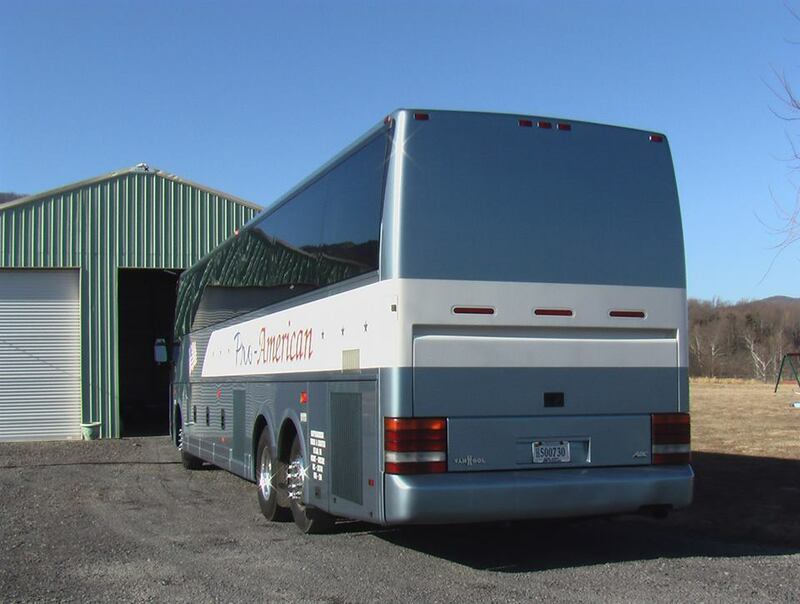 Our motor coach accommodates up to 58 lucky passengers. 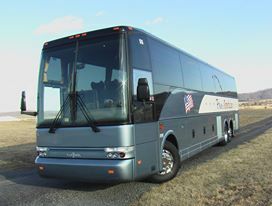 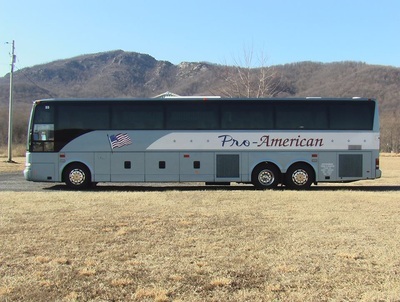 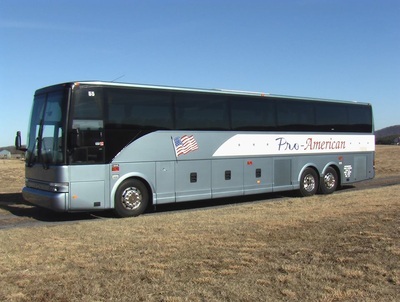 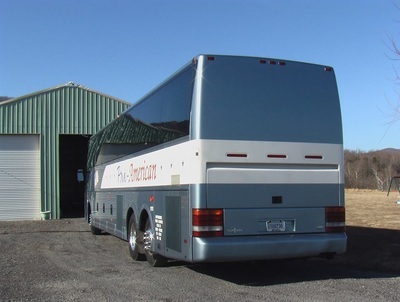 At Pro-American Tours, we feature the VanHool T2145E 58 Passenger Deluxe Touring Coach considered by many in the industry to be the most technically advanced, state-of-the-art and luxurious motor coach in the world today. 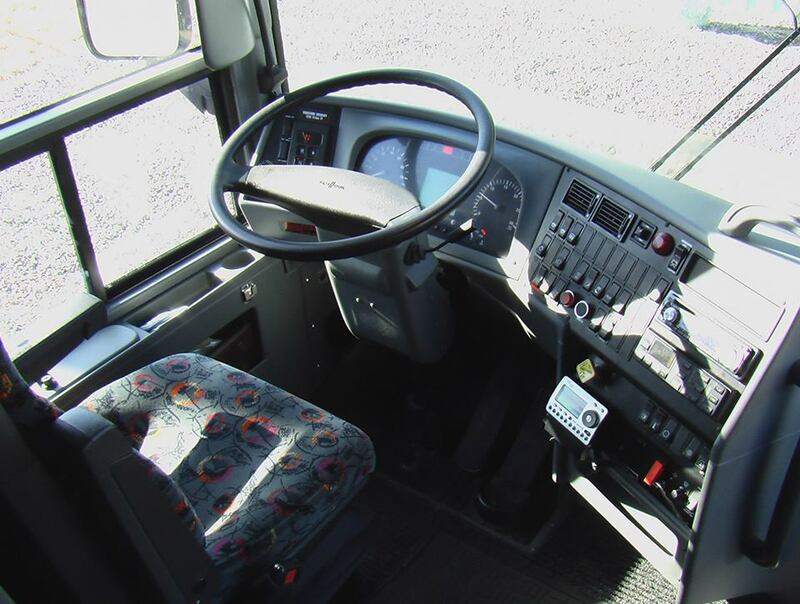 Note: Unlike some of our competitors, we only post photos of the equipment that we actually operate. 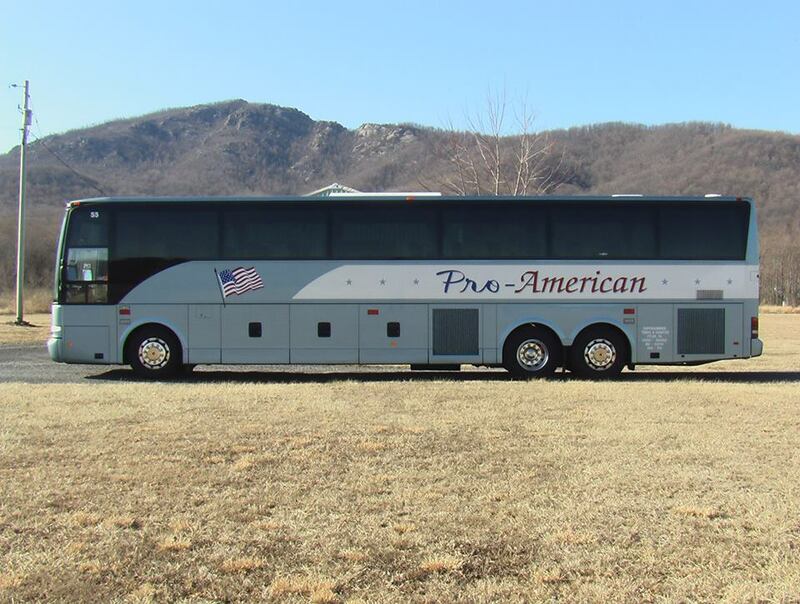 Instilling "American Pride' in our nation's citizens through fun, spirited and educational based tours.